I always love a good adventure. 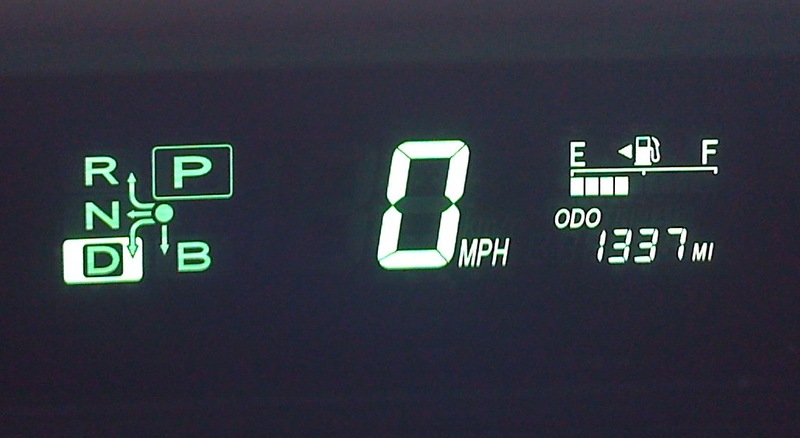 My Prius turned 1337 during it's third tank of gas. It's therefore (3)1337. 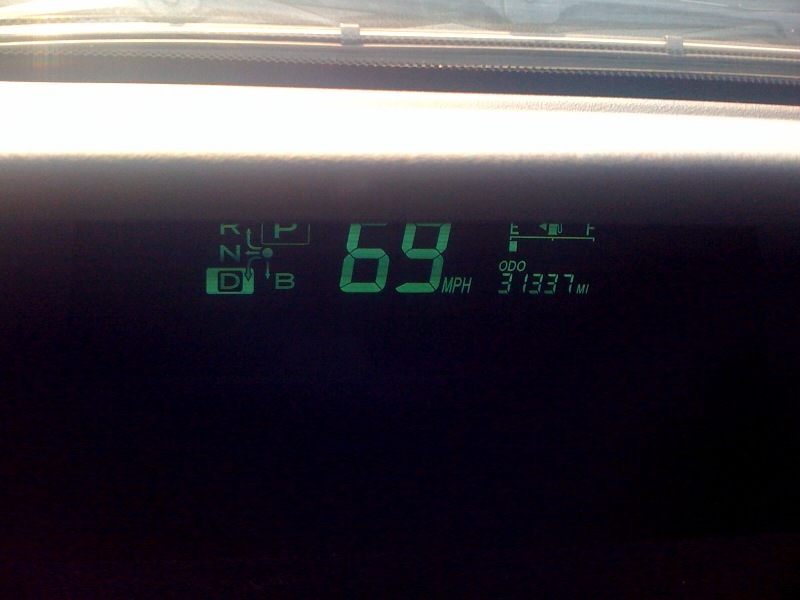 Yes, I did try to take a pictures while driving exactly 3 mph, but it was blurry. How that for k-lame? Beat that! We primarily use data reported via the World Meteorological Organization's Voluntary Observing Ship (VOS) program to provide a snapshot of current weather conditions at sea, worldwide. 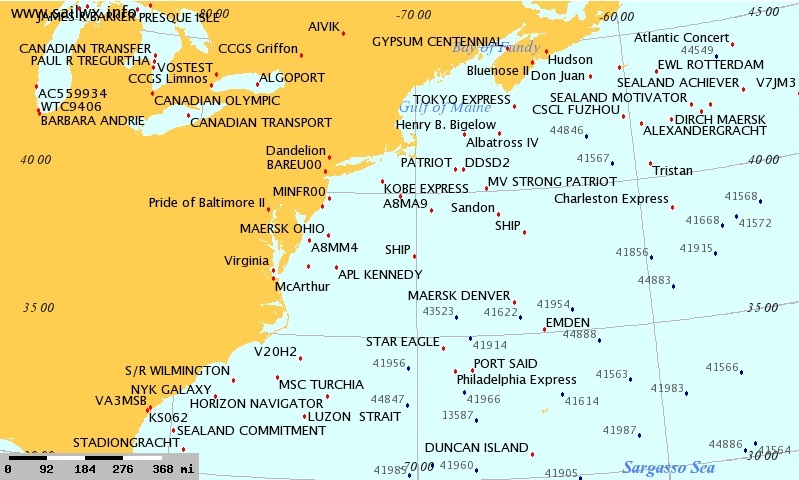 This data can also be used to track the progress of ships at sea. Many ships do not report their weather observations to WMO, or report only sporadically; these ships will not have records in our database. 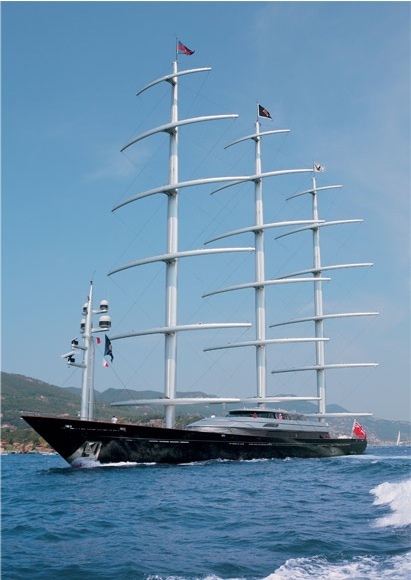 Additional information comes from the YOTREPS network of cruising yachts; YOTREPS positions are updated only once per day. 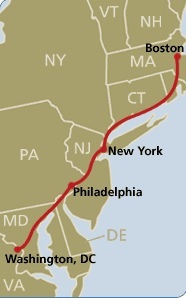 I took the Acela from New York to Washington for the first time last night. This is the way to travel! Comfortable seats, leg room, tables, power, and no TSA. It's totally hassle free travel. You can even get bottled beer in the Cafe Car to enjoy while watching the world go by at 150mph. The 3 crazy 2500 miles, 14 days, 3 people, 1 rickshaw, 0 preparation, 1 BIG adventure. Raising $5000 for Mercy Corps. We invite you to join Left Lane Drivers of America, a growing, grassroots effort to reclaim the Left Lanes on our freeways and multiple lane highways. To do this, those of us who are genuine “Left Lane drivers” are politely but firmly reminding others what the Left Lane is for. We are doing this with the copyrighted ™ Windshield Decal (which also serves as the Trademarked Logo for LeftLaneDrivers.org). This not-so-subtle reminder reads correctly when seen through a rearview mirror (see above), making slower drivers in front of you more aware of the need to leave the Left Lane open to faster moving traffic. 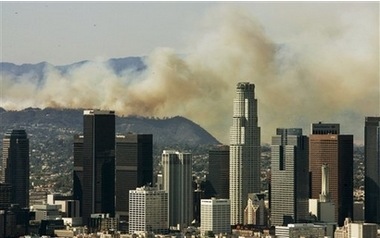 "This fire has danced around like nothing I've ever seen," Los Angeles City Council Member Tom LaBonge told reporters, adding that the fire had destroyed a terraced garden known as Dante's View. 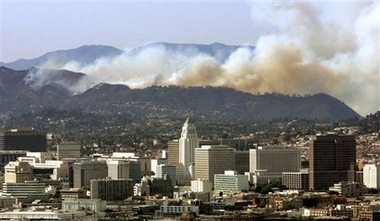 The park is in the Hollywood Hills, about 10 miles north of downtown Los Angeles. It includes golf courses, tennis courts, the city's zoo and botanical gardens and the copper-domed Griffith Park Observatory. The bright orange glow of the fire provided a striking backdrop for the white facade of the observatory into the evening hours. Visitors and nonessential workers were ordered to leave the zoo when the fire broke out, but none of the facility's animals were being evacuated, spokesman Jason Jacobs told CNN.